The Super Bowl champions reconvened Monday minus some notable star power. Denver tried to add San Francisco quarterback Colin Kaepernick. The quarterback, who has met twice with Broncos officials but who is not interested in the massive pay cut Denver wants him to take, has been part of the 49ers’ offseason program since it began April 4. For the last two weeks, those sessions have been restricted to strength and conditioning work. Phase II, which allows on-field work, including quarterbacks throwing to receivers, began Monday. The 49ers started their program two weeks earlier than most teams, including the Broncos, because they have a new coaching staff. Kaepernick still is rehabilitating from three surgeries and is not expected to be fully cleared until next month. 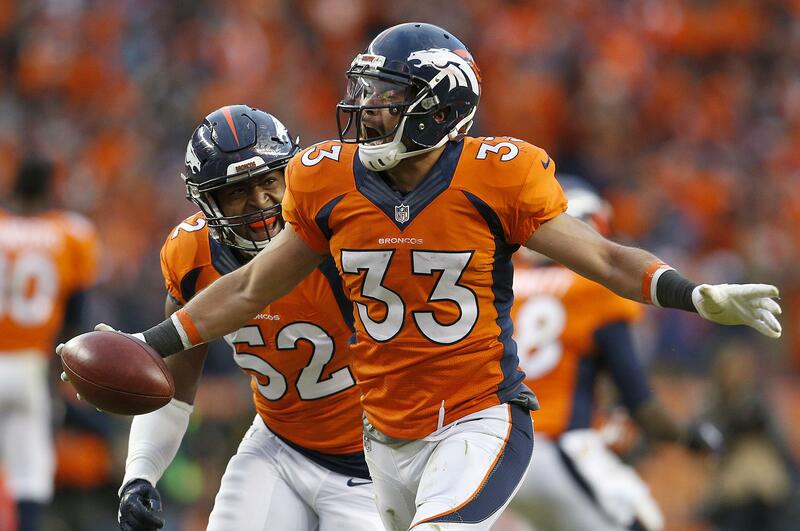 The Broncos bolstered their defensive backfield by signing free agent safeties Shiloh Keo and Brandian Ross to one-year contracts. Keo, a former Idaho Vandal, played in four regular-season games and two playoff games for the Broncos last season, helping solidify a secondary that was riddled by injuries down the stretch. His recovery on an onside kick sealed Denver’s win over New England in the AFC championship. Like Keo, Ross has spent four years in the NFL. He’s started two dozen games with Oakland (2012-14), Miami (2014) and San Diego (2015) after spending a year on Green bay’s practice squad. Panthers cornerback Josh Norman has been seemingly everywhere this offseason – at the “Batman v Superman” premiere, on the sets of several national sports networks and in south Florida for some fun and sun. But one place Norman won’t be is at Bank of America Stadium next week for the start of the team’s offseason workouts. Norman, who has yet to sign his franchise tag worth $13.95 million for this season, plans to skip the Panthers’ offseason program unless there is significant progress made on a long-term contract, a source with knowledge of the situation said. It’s long been expected that Norman would be a no-show for the voluntary workouts, which begin April 25. He wants to be paid among the league’s top corners (in the $14 million to $16 million range). But the two sides have talked recently, but remain far apart on an agreement, the source said. Andrew Luck finally feels healthy again. The three-time Pro Bowler who missed nine games last season with an assortment of injuries returned to a very different locker room for the start of the Colts’ offseason workout program. He immediately proclaimed himself ready to play. The team’s biggest offseason priority is making sure Luck is fully recovered from a lacerated kidney and partially torn abdominal muscle that kept him out of the final seven games last season, a right shoulder injury that forced him to miss the first two games of his career and an ankle injury. The injuries led to the worst season of Luck’s pro career – just 15 touchdown passes and 12 interceptions. The Colts wound up 8-8 and missed the playoffs for the first time in the Luck era after opening the season as a trendy Super Bowl pick. The fact that Luck still is not 100 percent demonstrates just how serious last season’s injuries were. Andy Dalton’s first pass with his healed thumb plopped right to the couch. And it felt really good. He was having the best season of his career – his long-awaited breakthrough year – when he broke his thumb while making a tackle during an interception return. AJ McCarron led the Bengals to a pair of wins in the last three regular-season games and had the Bengals ahead in the closing minutes of the playoff loss before the defense melted down with penalties, allowing Pittsburgh to pull out an 18-16 win. After making a good first impression as an NFL starter, McCarron moves back into the No. 2 spot, where he’ll get very little time to practice with the first team offense. Dalton finished with a passer rating of 106.3, breaking Carson Palmer’s club record. He finished second in the NFL behind Seattle’s Russell Wilson (110.1). He completed a career-best 66.1 percent of his passes for 25 touchdowns with only seven interceptions, a career low. That seventh interception led to the broken thumb. When the Packers went back to work, they saw more of wide receiver Jordy Nelson and less of running back Eddie Lacy. Nelson is on the comeback trail following last year’s season-ending right knee injury and Lacy looks slimmer after being called out by coach Mike McCarthy for being overweight last year. … Free agent running back Trent Richardson, who has had an unofficial agreement with the Ravens since last month, officially signed his contract in. … Run stopper Chris Jones, a defensive tackle for the Patriots, signed with the Dolphins. … The Giants have re-signed Pro Bowl placekicker Josh Brown. … The Chiefs’ appeal of anti-tampering violations was denied by commissioner Roger Goodell. Kansas City will forfeit its third-round pick in next week’s draft and its sixth-round pick next year, though its $250,000 fine was reduced to $200,000 and coach Andy Reid’s fine was reduced from $75,000 to $60,000. The Chiefs were found to have had direct communication with then-free agent wide receiver Jeremy Maclin, who had been drafted by Reid in Philadelphia, during the league’s negotiating period. That communication is considered a violation of the NFL’s tampering rules. … Bills coach Rex Ryan introduced Donald Trump at the Republican presidential candidate’s rally at Buffalo’s First Niagara Center but stopped short of endorsing him. Published: April 18, 2016, 7:09 p.m.